The Over Ball is really soft and pleasant to touch. Light and very easy to grip it is ideal for both indoor and outdoor play activities. The product is easy to inflate by mouth; you can fold it and take it with you everywhere! Straw included in the packaging. NOTE: OVER BALL and SOFTGYM OVER are the same ball. 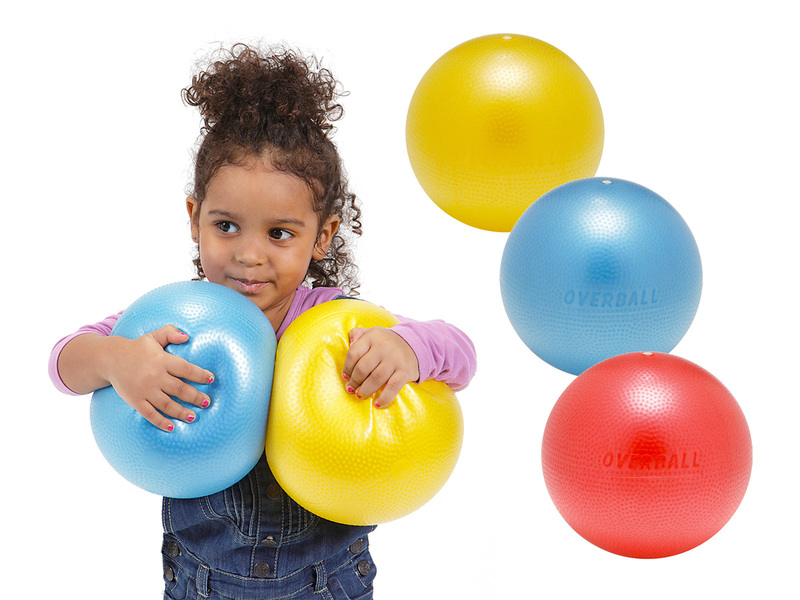 These are available with different accessories and packaging according to the context of use: OVER BALL (Toys): has a long plug (in compliance with the toy safety regulations), supplied in a printed retail box. SOFTGYM OVER (Fitness – Wellfit): has a short plug (ideal for exercising), supplied in polybag with exercise brochure.